Dyna-Ski Boats: Used one season motors and more. I have access to outboard motors often used for one season or less as well as new motors. Occasionally there are some used two season motors also. The motors I resell are a great bargain. They normally have the balance of the new motor warranty, some even have full warranty. Motor warranties are as long as 10 years in some cases. The shortest ones are 3 years although I could be wrong on this length. We make our money on boats and not motors or trailers. 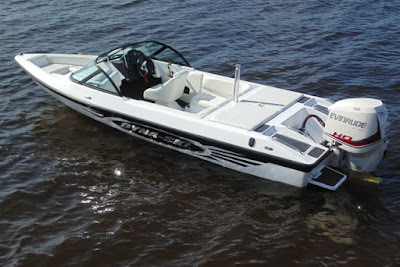 Dyna-Ski Boats purchases motors and trailers as an OEM (original equipment manufacturer) which is below dealer costs. Some "used" motors are off my personal and demo boats. I don't always sell my demo boats as the time to build demo boats is limited due to the number of boats we are starting to build. We are building boats year round now. It has sped up some aspects of the business but with a longer line it now takes longer to get your ordered Dyna-Ski Boat. In addition to Dyna-Ski Boats the boat shop also builds Recon Fishing Boats. Like Dyna-Ski Boats Recon Fishing Boats are pretty much all made to order although Recon uses a dealer network to sell their boats. 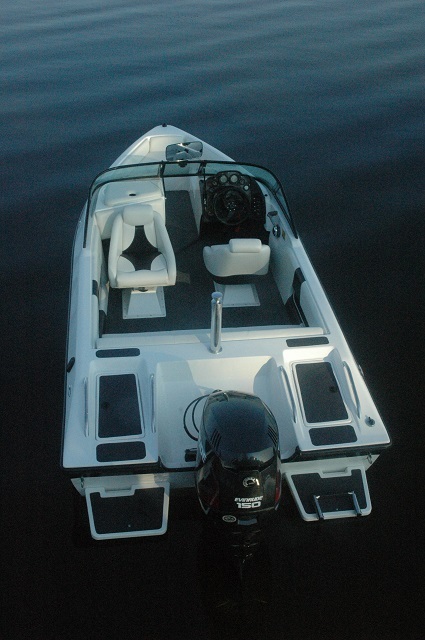 Dyna-Ski prefers to sell our custom made to order boats directly as it saves the customer money. Buyers also get exactly what they want not what some dealer has in stock. It does take longer. Sorry. Dealers normally are happy to service any boat as service, accessories and storage are the best profit centers for a dealer. You should take your Evinrude motor to an Evinrude Dealer and Mercury Motor to a Mercury Dealer, etc. to get warranty service which I hope is obvious? You would not take your Ford to a Chevy dealer for specific warranty repairs would you? 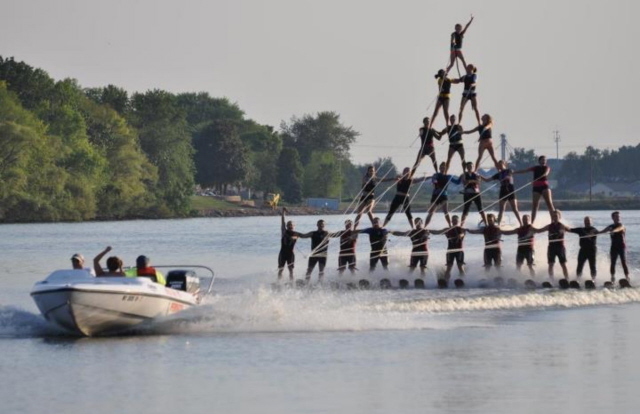 The motors I help ski teams sell are only from ski teams with Dyna-Ski boats and ones that I know very well. Used one and two season motors usually work very well as the "bugs" have normally been found and fixed during the first year. The old saying is "if it does not break in the first year it isn't going to" seems to hold true. Motor break in time seems to be a thing of the past although oil consumption does go down some after using the motor around 10 hours or so and sometimes the motor picks up a few RPM's on the top end after this time period I have observed. Fuel efficiency and reduced oil consumption by the new outboard motors still amazes me compared to older boat motors. A couple of my friends have 1980's and 1990's vintage outboard motors and while they still run good they buy a lot of gasoline. You can still order a Dyna-Ski Boat with a new outboard motor and some buyers still do as the supply and choices of used motors are limited and often these motors sell quickly. 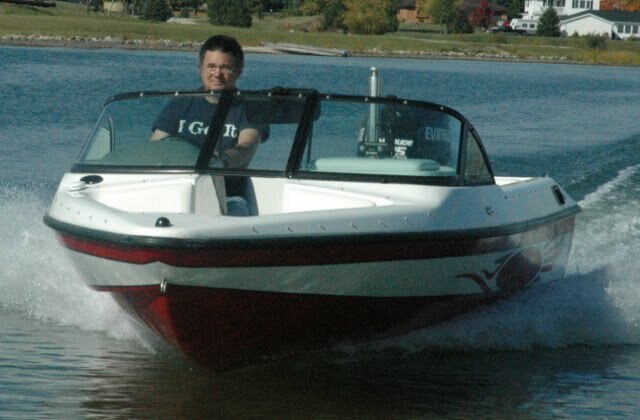 Before I started up Dyna-Ski Boats I used to re-power my personal Hydrodyne 17.6 ski boat every 3 or 4 years. I would buy a used one season ski team motor in the fall and sell my used 150 in the spring. The motor warranty was only one year back then but I always had decent luck doing this. I benefited from the latest improvements and it cost me about $500 per year I figured. Now I re-power the family ski boat every year or two because I own Dyna-Ski Boats so I can. 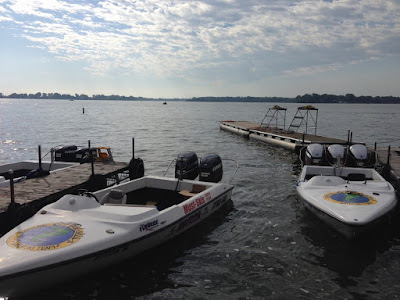 We normally have several water ski boats here to choose from but I sold my demo. It went to Malaysia and the replacement will be built when they catch up from building new boats. The new Evinrude G2 150 sits in the crate on the floor of my storage building. So there may be an Evinrude G2 150 with no hours available come fall. I personally prefer Evinrudes and part of the reason is the terms they offer Dyna-Ski for using them and putting them on our blog and website.